Who in this world does not like games. 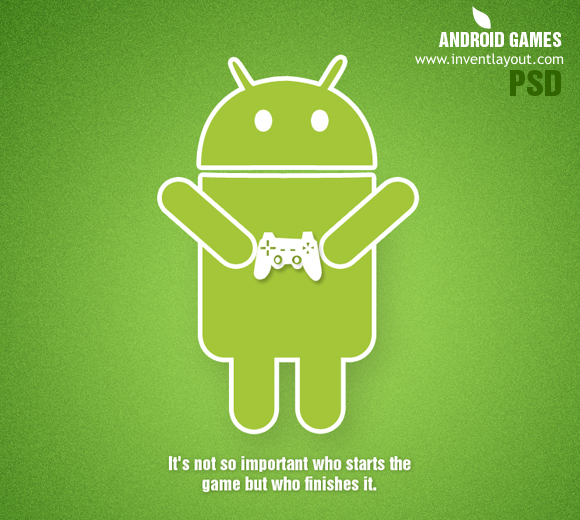 Android and iOS games are very addictive and one can spend countless hours playing them. The action and mind-boggling puzzles of these games are just enough alongside with the mesmerizing visuals and soundtracks, Angry Birds and Temple Run are some of the examples for these kind of games. 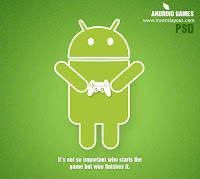 That is why here I had compiled a list of top 10 mobile games for you. 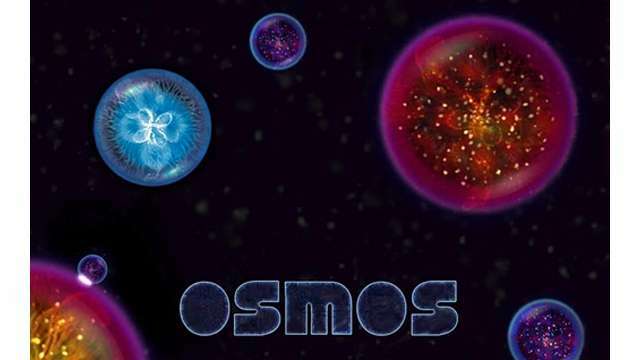 Osmos, a physics-based award-winning game lets players enter the Darwinian world. The player has to absorb smaller organisms and grow to survive, and at the same time be aware of larger predators. To move forward, you must eject matter behind you, which will make you shrink. So Osmos has to maintain the balance by absorbing smaller masses quickly and efficiently. The game will lead the player through ambient playgrounds, deep solar systems, competitive petri dishes, dense mote-fields, and more via its 72 levels and two game modes. It is available for Android as well as iOS users for free, and supports gestures such as pinch to zoom, tap to eject mass, flick to warp time and more. 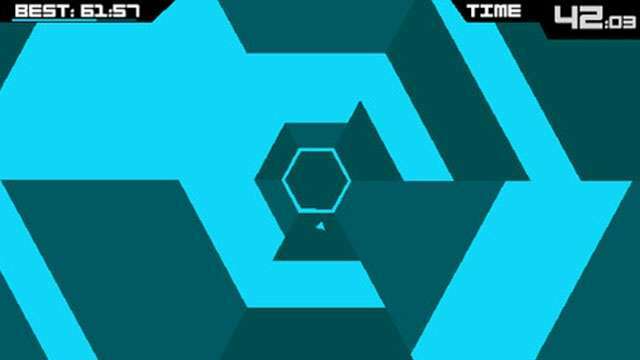 Super Hexagon can be easily called the most simple yet complicated game. The game is all about spinning a small triangle around a swirling, psychedelic drain of a maze so that it doesn't crash into the walls of the maze. Super Hexagon comes with simple rules but requires a lot of concentration, making you forget the world outside. It is extremely difficult to survive the maze for even a minute, and those who accept the challenge could spend the entire journey in this hypnotising maze no matter how long it is. The app is available for Android and iOS users, but comes with a price tag attached to it. Android users will have to shell out Rs 163 while iOS users can buy it for Rs 170. Running games have become quite popular since Temple Run hit mobile stores. 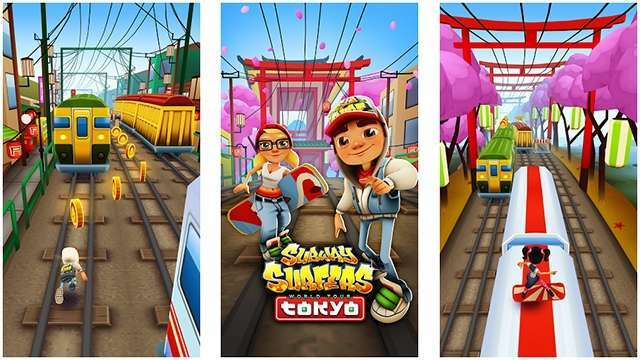 If you are bored with Temple Run and want to lay your hands rather fingers on something similar, then Subway Surfers is a great option. The player has to run on subway tracks and collect coins and different kinds of power-ups on the way. In this endless running game, the player has to beware of the grumpy inspector and a dog. There are daily and weekly challenges, which bring lots of benefits. This game is highly addictive and available to download for free on the Apple app store and the Google Play store. Funky Smugglers is a 70s style arcade game wherein the player has to eliminate contraband products from boarding passengers as they move past an X-ray machine. All of it has to be done to a funky soundtrack. There are several boosts which will help power up the X-ray scanner. The game requires its players to progress as far as possible to make the greatest score. One can play the single version of the game or opt for an online group mode where your score contributes to a team’s total score. The gameplay is simple, easy and addictive. The graphics are vivid and lively. The game isn't available for free, and one will have to shell out around Rs 50. Gaming fiends would find this retro style pixel-art RPG very interesting. 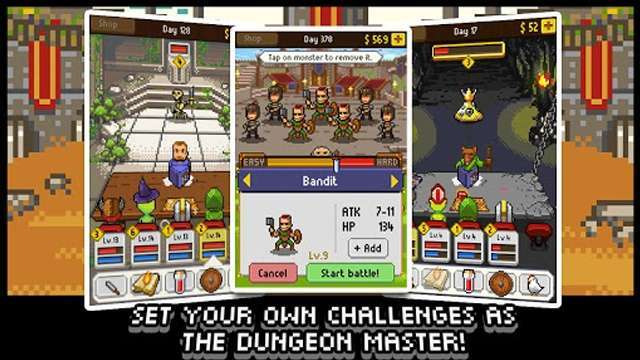 It is a free, turn-based game filled with dungeons, and monsters. Inspired by 90s titles, this PC game was recently updated for leading other platforms including Android and iOS. The player can choose which battles to fight, and also control characters and the dungeon master. The game comes with 12 different classes (6 unlockables) and 17 characters (5 unlockables), more than 150 quests, 50 monsters, 100 items and equipment, blacksmith, enchanter, mining, gathering, hidden treasures and more. The storyline can be personalised and the gameplay is quite entertaining. 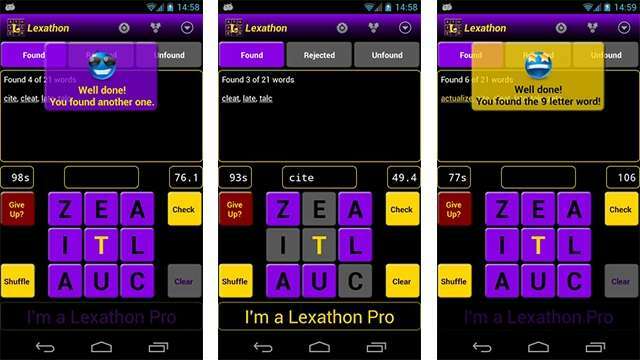 Lexathon is an extremely addictive word game that will keep you busy on the go with its more than 100,000 word puzzles. The player has to make all words possible with the jumbled letters. The game is time bound, which makes it all the more interesting. Tap the ‘Give up’ button to maximise your score once you have formed all the words to increase the score. This addictive free Android puzzle game is great for those who love anagrams, word jumbles, or those who want to enhance their Boggle and Scrabble skills. Some features of the game include looking up definitions in the dictionary and posting scores on Facebook. This mobile game puts you directly in a room,and your goal is to open a well-locked safe. Then begins hours of brain racking to solve puzzles and challenges to break open the safe. 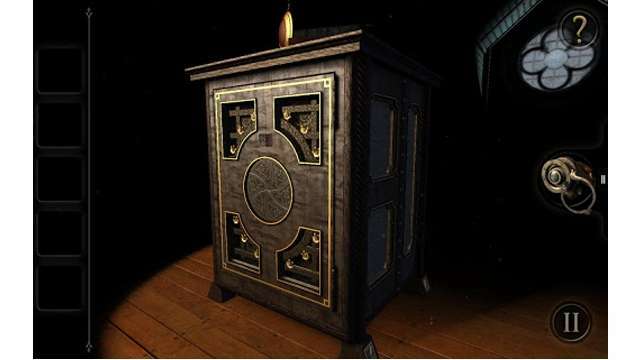 The Room has an interesting creepy look and the gameplay will keep you engaged for several hours. Room is a premium game available to download for around Rs 106. It is hard to put down with its highly-immersive gameplay. 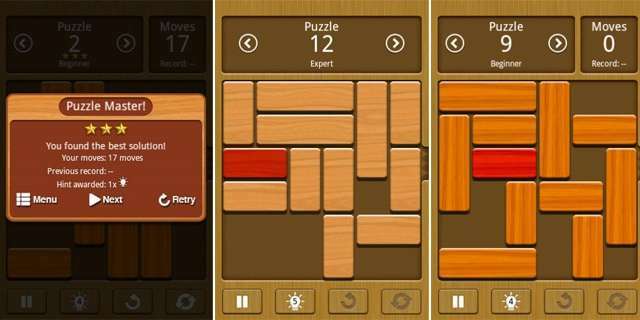 Here’s yet another puzzle game option that brings hours of simple and addictive gaming. The goal of the game is to get the red block out of the board. Players can do so by smartly sliding the other blocks out of the way. It offers four difficulty levels ranging from Beginner to Expert and has about 4,200 puzzles. There are two game modes: Challenge yourself with the Challenge mode or choose to just lie back and relax with the Relax mode. Unblock Me is a free game available for Android and iOS users. The next in our list is a high-end, action-packed game. It is a 3D side-scrolling adventure game wherein the player has to guide the Wind-up knight through over 50 devilish levels. 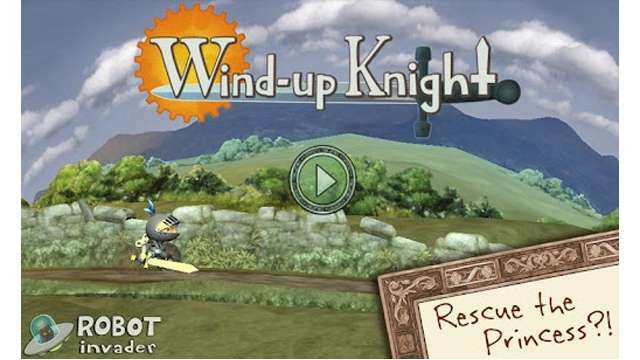 The Wind-up knight has to rescue the princess from the evil Black Knight. Inspite of the fact that the player has to run, roll and jump its way to victory, it isn't a typical runner game. It has some intense action and several armours and weapons that you have to unlock. The game is available to download for free from Google Play and Apple app store. This is an extremely fun-filled game. Recently, Rayman’s journey has received 20 new levels to make it even more interesting and inexhaustible. The player has to dodge cannon balls and jump their way through falling rocks in the all-new Pirate ship section. Apart from the new pirate theme, the game also gets a new absurd-flower theme that brings 10 new levels. These new levels have further enhanced the gaming experience. The game brings in beautiful graphics, new worlds to discover, powers to unlock and also exclusive wallpapers to unlock for your device. The Rayman Jungle Run has been priced at Rs 170 for iOS users and Rs 191 for Android users.